Worth wagging your tail for! 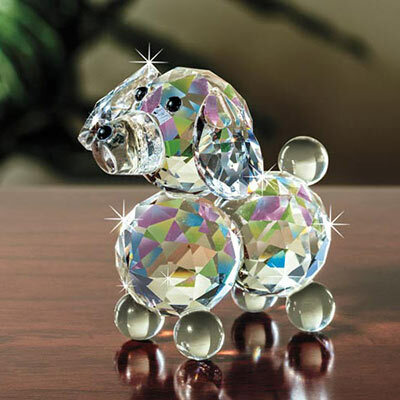 Adorable handcrafted faceted crystal dog accented with sparkling eyes and nose! Approx. 1"h.